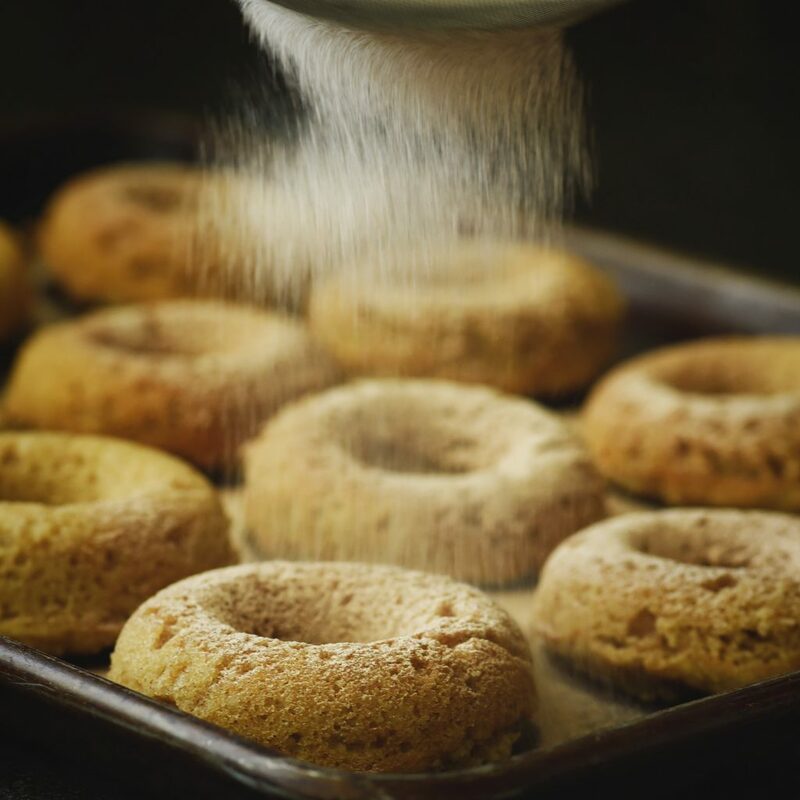 This recipe for Low-Carb Cinnamon Sour Cream Donuts makes tender, spiced donuts to start the day on a sweet note. 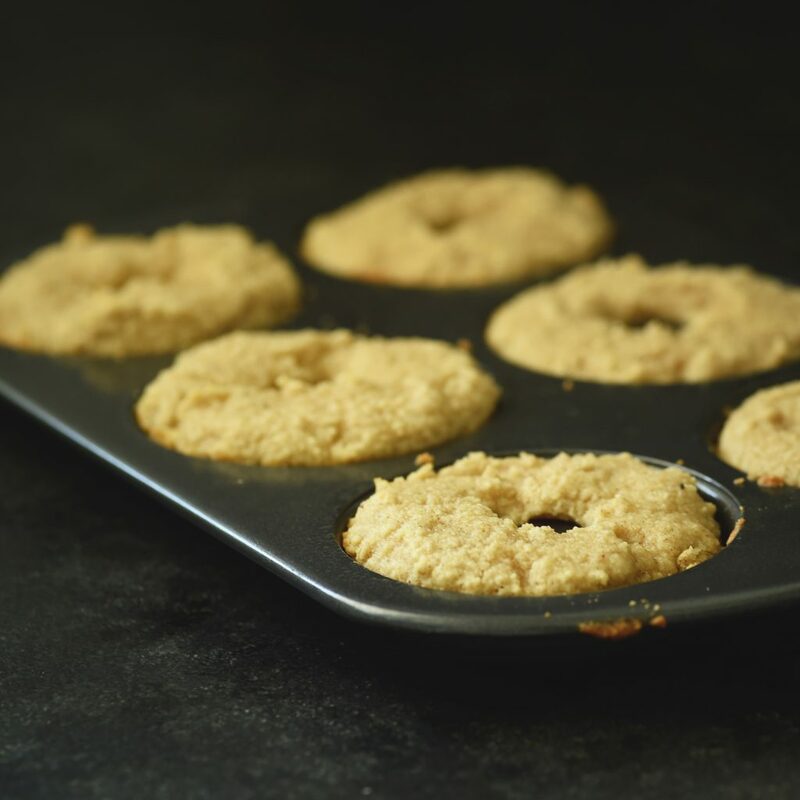 These sugar-free donuts are made with almond flour making them suitable for low-carb, gluten-free, grain free, keto, Atkins, and Banting diets. Looking for a sweet treat to have with your coffee in the morning? These donuts will fit the bill! 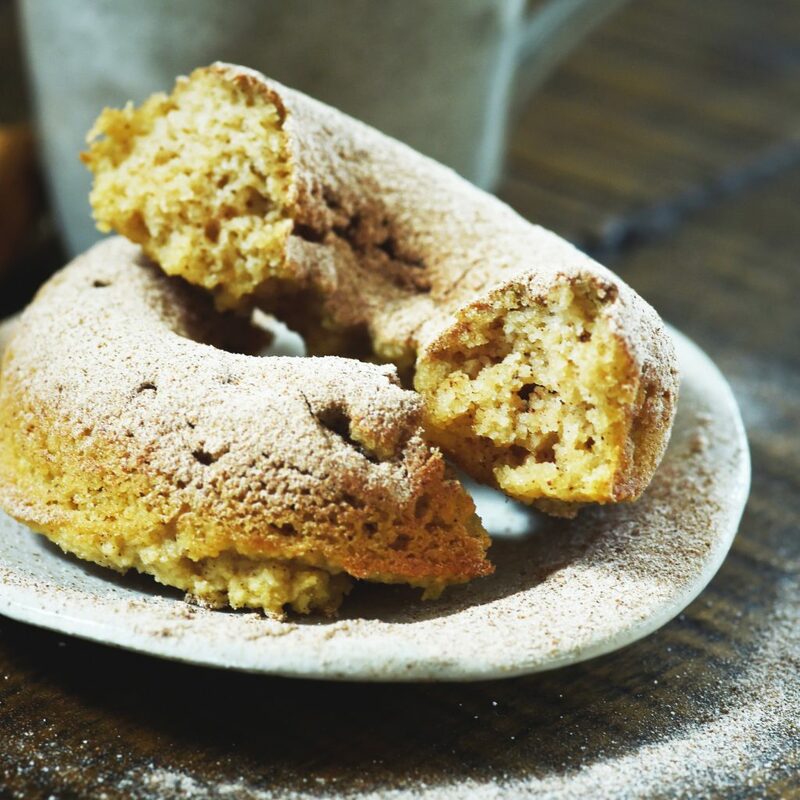 These baked donuts start off with a cinnamon batter with a hint of nutmeg to add some interest. 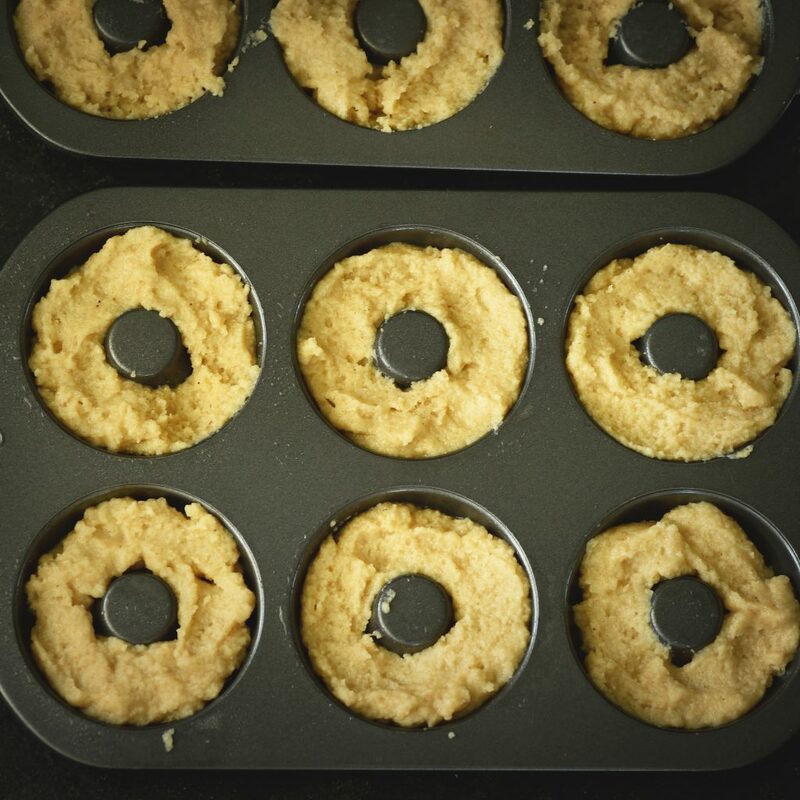 Just spread the batter into donut pans and bake to perfection! 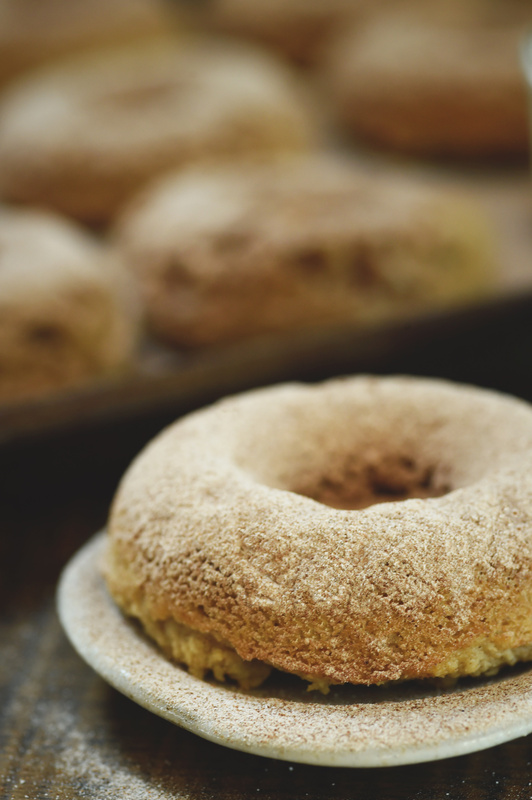 After removing the donuts from the pan, cinnamon spiced sugar is lavishly sprinkled on top. The result is layers of cinnamon goodness to start your day off right. My inspiration for this recipe came from the donuts my mother would bring home years ago. I can’t remember the brand, but there was always a selection of white-powdered donuts and cinnamon-powdered donuts. She often got them about the time apples were ripe and the cider was freely flowing out of our cider press. Cider and donuts were always a special treat. 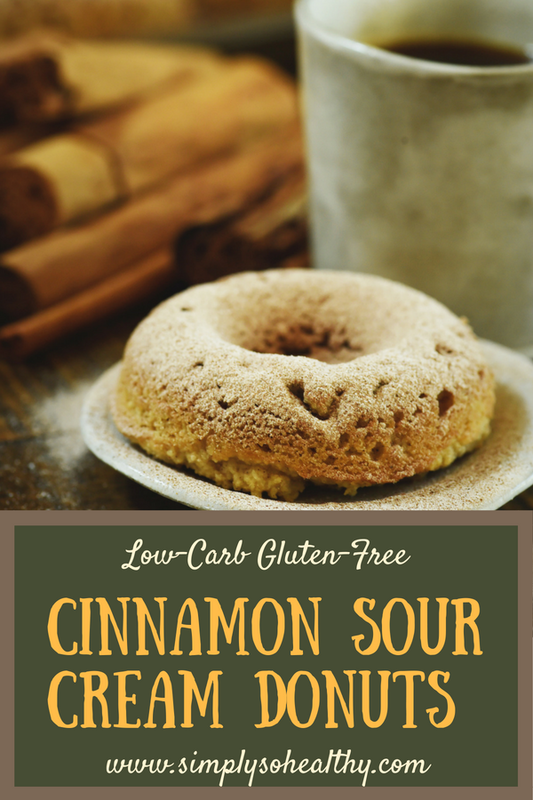 While cider isn’t low-carb enough to have on a keto (or even low-carb) diet, I still enjoy cinnamon donuts! 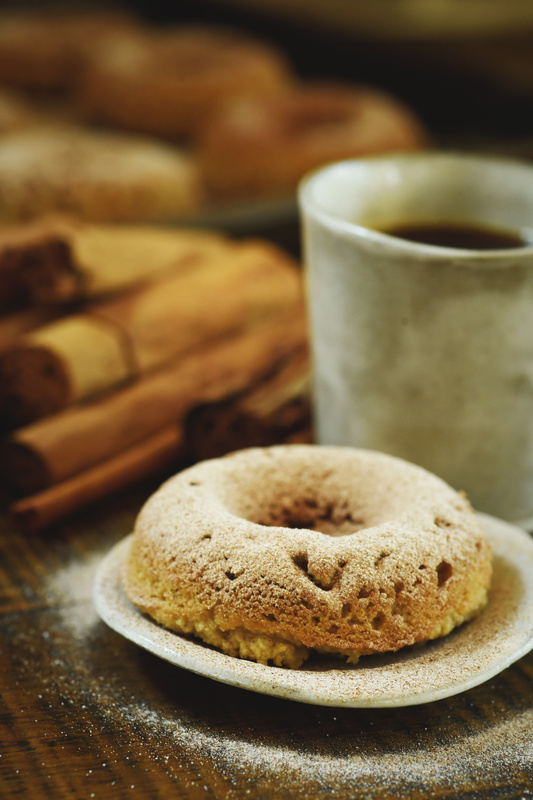 These donuts are delicious with a cup of coffee, or, if you really want that apple cider flavor, try having them with one of the apple flavored herbal teas on the market. This recipe is an alteration of my recipe for Low-Carb Lemon Donuts with Cheesecake Frosting. While I changed the flavor composition, I also added a bit of sour cream for additional flavor and tenderness. 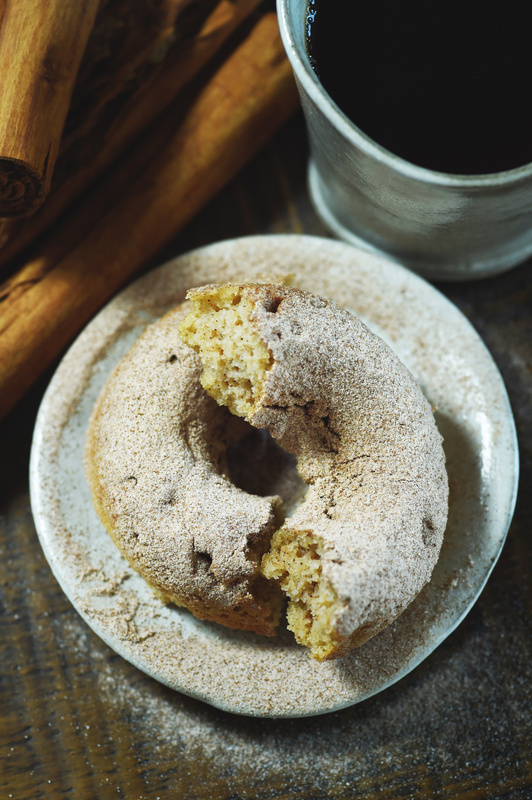 These donuts are coated with a sweet powdered cinnamon coating. While you can use a powdered erythritol based sweetener, I find that powdered erythritol has an even stronger cooling effect than granulated erythritol. Because of this, I like to use other types of sweeteners. One that I like is inulin. I find that inulin-based sweeteners have a low-level, natural tasting sweetness to them without any sort of cooling effect or residual bitterness. In addition to a natural tasting sweetness, inulin is a soluble fiber, so it has additional health benefits without elevating blood sugar. 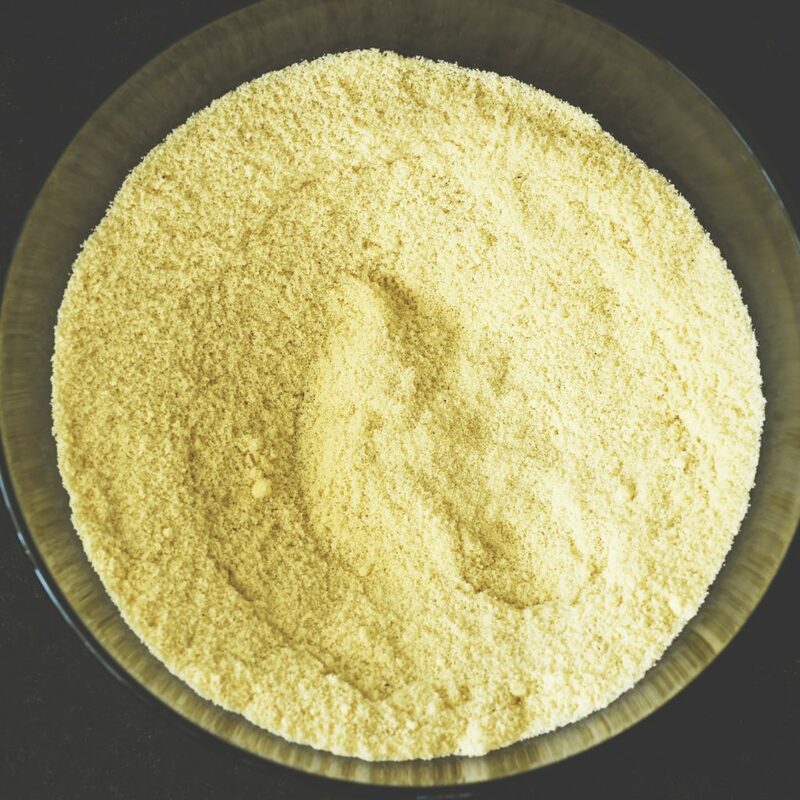 While there are lots of choices on powdered sweeteners that work for this recipe, I recommend that you don’t use any of the super sweet powdered sweeteners such as pure powdered stevia or monk fruit. Using these would result in an inedibly sweet combination. 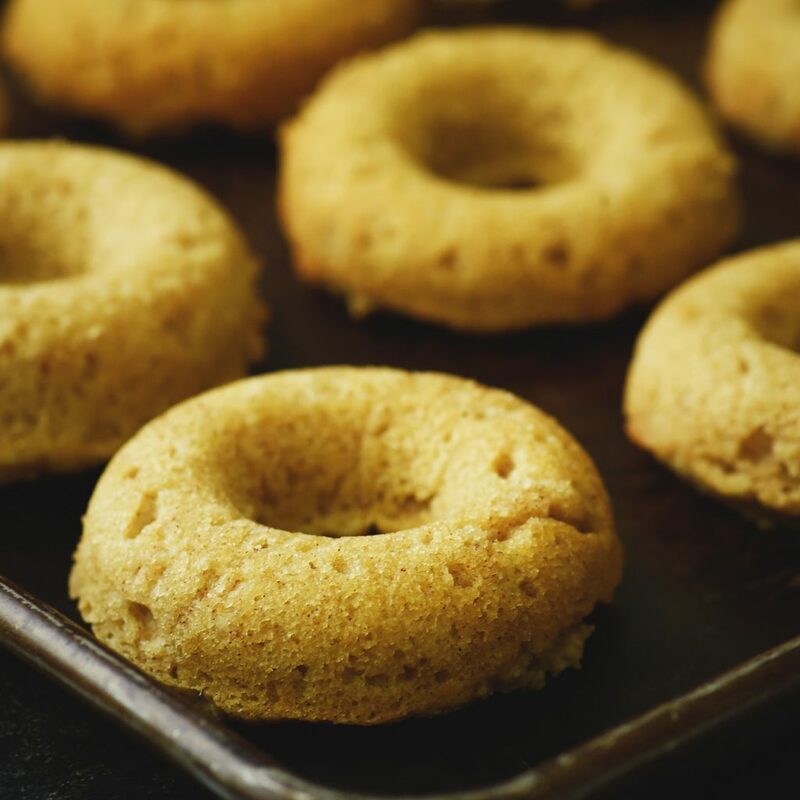 This recipe for Low-Carb Cinnamon Sour Cream Donuts makes an easy, but delicious way to start the day. They freeze well, so you can make them ahead and defrost. If you plan to freeze them, you will want to wait to sprinkle the powdered cinnamon mixture after defrosting. Enjoy! Preheat oven to 350º Fahrenheit. Grease two donut pans (with room for 6 donuts each) with coconut oil or other oil of choice. In a medium mixing bowl, whisk together the almond flour, granulated sweetener, cinnamon, nutmeg, baking soda and sea salt. Using a separate mixing bowl, whisk together the eggs and sour cream. Whisk in the almond milk. 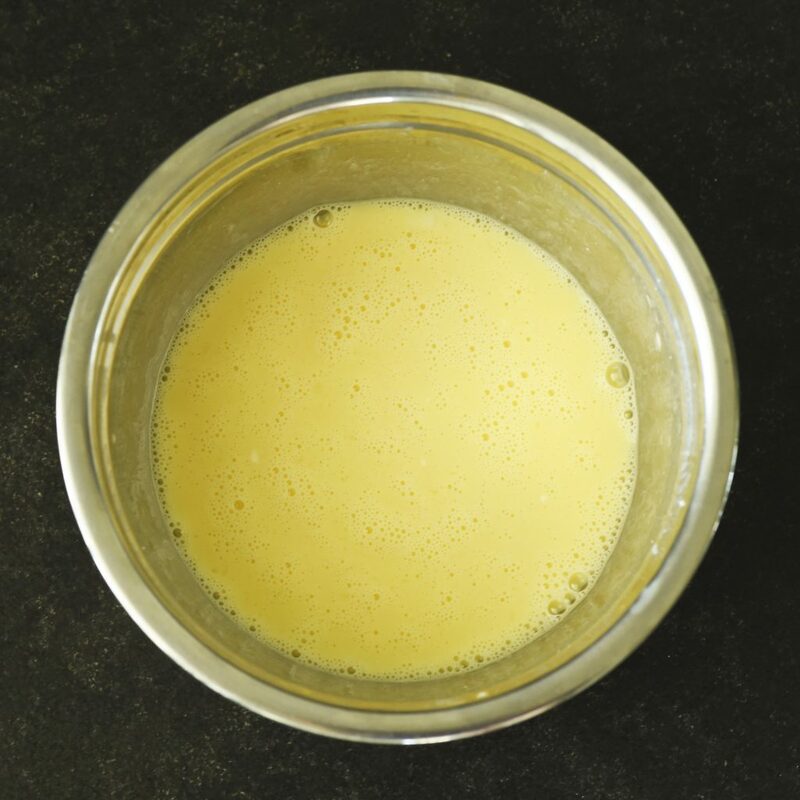 Stream the butter into the wet ingredients while whisking. Pour the wet ingredients into the dry ingredients and stir together until combined. Spread the batter into the prepared donut pans. Bake for 10-12 minutes, or until the top springs back when lightly touched. In a small mixing bowl, mix together the powdered sweetener and the cinnamon. Remove donuts from the pan and arrange on a baking sheet. 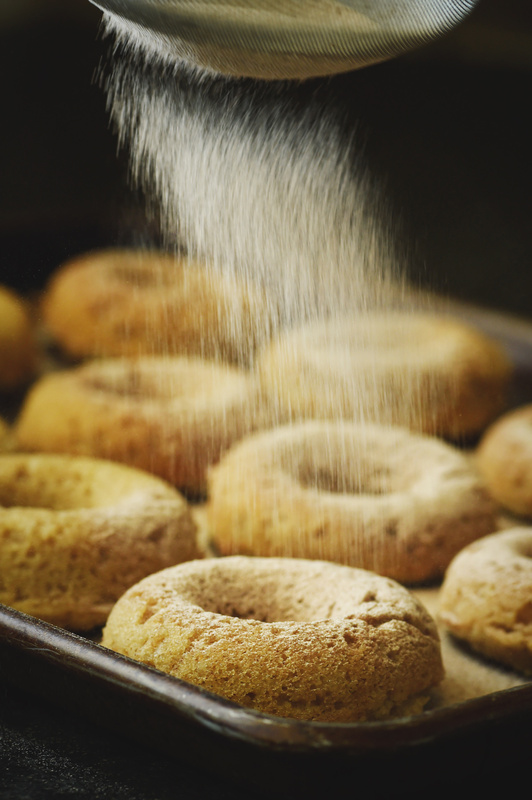 Place powdered topping in a fine mesh strainer and sprinkle the topping evenly over the donuts. ***Please read the write-up above for suggestions. Nutritional information was calculated using powdered erythritol. Sure! The baking time will be slightly different due to the different shape of the pan, but it should work out fine. Just make these last night and oh, they are fabulous! Love your site. Thank you, thank you for all you do to make living the Keto lifestyle so much easier. My daughter and I applaud you both! Thanks so much, Tamera! You made my day! Wow, these cinnamon donuts looks so tender and soft! I need to try this recipe! Super excited about this! I had no idea donuts could be low-carb. Thanks! I’m all about creating guilt-free treats! Those donuts look so light and fluffy. I am so ready for all the cinnamon recipes now. Yes! It’s that sweet, spicy time of year! Maybe a pumpkin spice donut recipe is in order soon! Such a fun sweet treat! 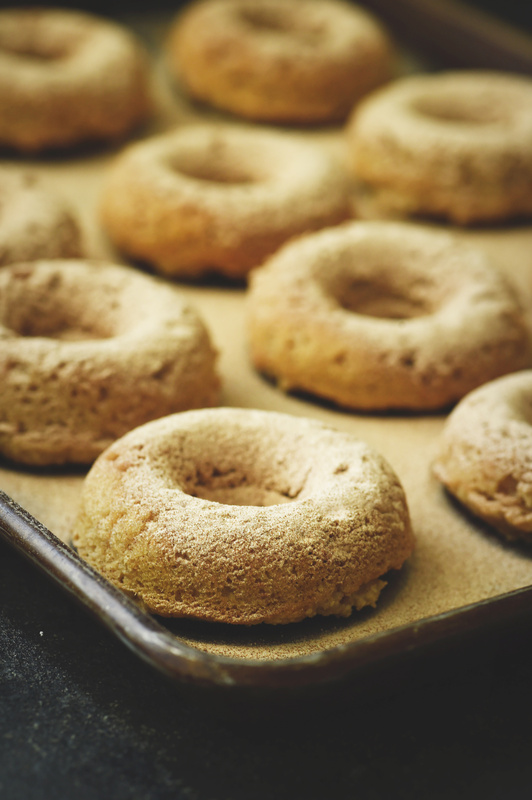 I’ve made cinnamon doughnuts from a few recipes but there’s always room for one more, right? 😉 Especially when they look so delicious and are healthy! Lol! Glad the recipe is a keeper! Do you think these would work with Almond Meal? I would love to try this. Looks delicious! I wouldn’t try this with almond meal as the grind is not really fine enough. I use a super fine almond flour for this recipe. I am suing Lakanto sweetener which is monk fruit and erythritol. It’s a 1:1 replacement for sugar. How would I convert that for your recipes using stevia? If you don’t like your baked goods super-sweet, you may want to try substituting 1:1, but know they will be less sweet. 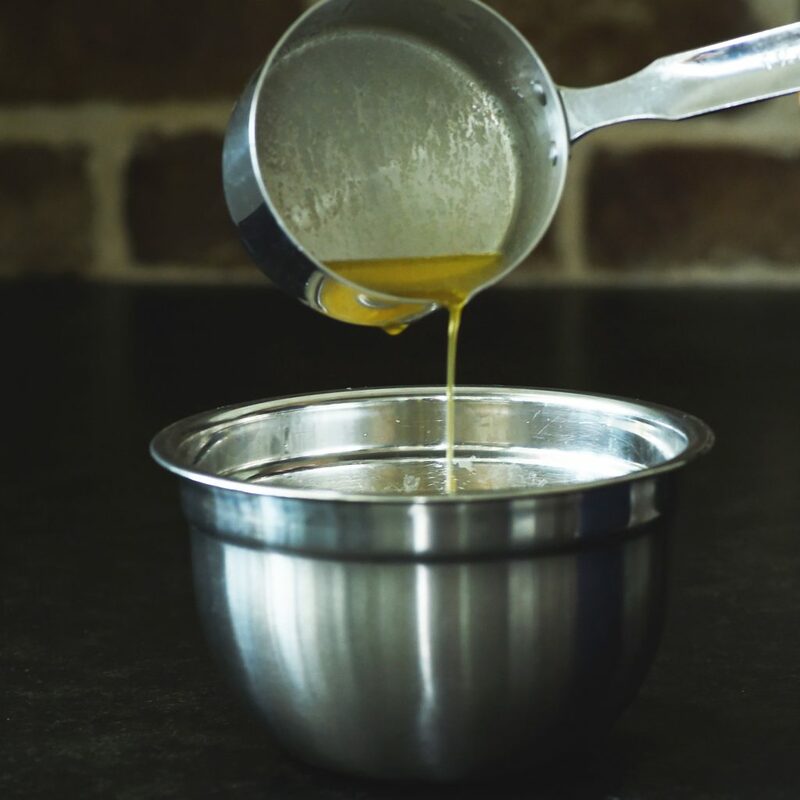 Doubling the sweetener would give you the same sweetness level, but people have noted that they have trouble with recipes in doing this due to the bulk added.